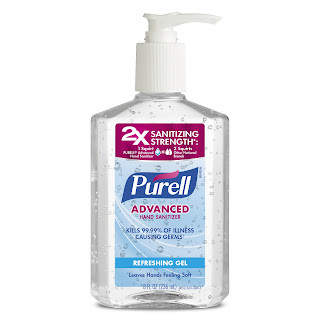 Stretching the One Income Dollar: Keep #Healthy This Holiday Season With Purell's Advanced Hand Sanitizer! Keep #Healthy This Holiday Season With Purell's Advanced Hand Sanitizer! It's the season to go shopping, fa, la, la, la, la, la, la. When December arrives and the Christmas songs are played everywhere, you know it is time to get the Christmas list done. It is the busiest time of the year for many people, we go out for shopping even though the temperature outside is in negatives. The cold virus gets busy with us, too many people get sick with the cold virus during this season. While we are out and about hurriedly finishing our list, going in stores filled with people chances are we carry a virus with us back home. So what do we do that we do not get sick? Washing hands after coming home from outside is a must, but don't forget to carry a Purell Advanced hand sanitizer in your handbag either. They come in really handy when you take a break for coffee or a meal during your shopping.